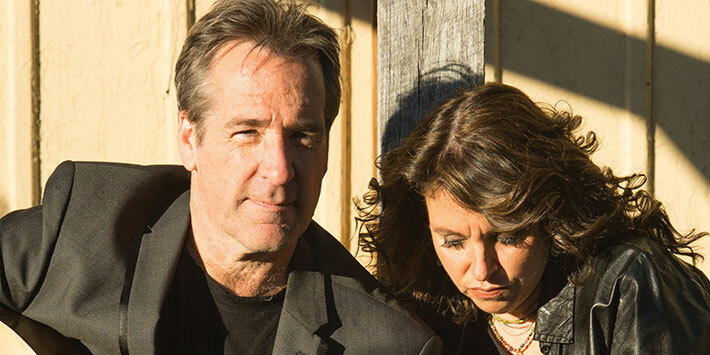 Lucy Kaplansky and Richard Shindell have been singing together for 25 years. And they’ve talked about making a record together for just as long. In summer 2014 an extraordinarily successful Kickstarter campaign raised the initial goal of $40,000 in 24 hours, going on to ultimately reach over $85,000, to bring that desire to fruition under the band name “The Pine Hill Project.” “Tomorrow You’re Going,” an Americana masterwork of great songs, gorgeous harmonies, and stunning production was released in 2015. The album is at turns meditative, joyful, rollicking, and deeply moving, and a one of a kind musical event. You don’t want to miss the opportunity to see and hear Richard and Lucy perform as “The Pine Hill Project” live in the perfect setting of Pollak Theatre.